Lake City Florida and its nearby neighbors of Live Oak and White Springs are historic towns in that go back to the earliest days of modern Florida history. Lake City figured prominently in American Civil War history; all three towns will give you a taste of Old Florida with their old homes and buildings. Lake City Florida is south of the intersection of I-10 and I-75. In the days before the interstate highways, it was still a major crossroads town at the junction of US-90 and US-441. The population now is about 13,000 and it is the seat of Columbia County. In the days before many white settlers came to the area, Lake City was a Seminole Indian settlement known as Alligator Village. The first white settlers built a town next door and named it Alligator. The city incorporated in 1859 and changed its name to Lake City Florida in recognition of the many local lakes that include Lake DeSoto, Alligator Lake, Watertown Lake and Lake Harper. The only significant battle in Florida during the Civil War was at Olustee, near Lake City. The Yankees lost 1,861 men killed, wounded or missing, and the Confederates lost 946 men killed, wounded or missing. Every year a reenactment of the battle is staged in Lake City, and a festival and other celebrations take place in conjunction with the reenactment. 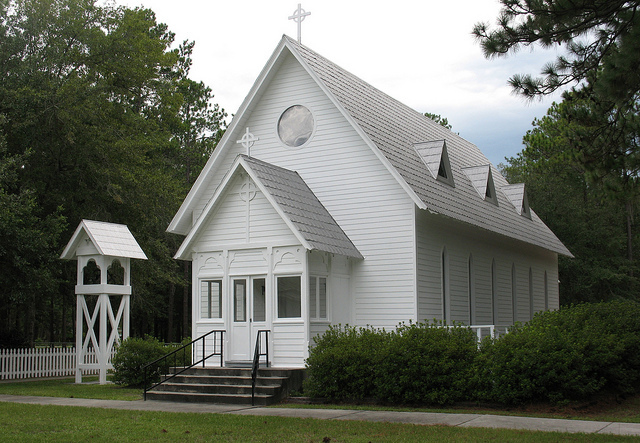 One of the earliest buildings in Lake City is the St. James’ Episcopal Church, This historic church is at 2423 SW Bascom Norris Drive. After the Civil War, Lake City Florida began to develop and became an important railroad town. Tracks criss-crossed Lake City from several railroads, including the Florida Railroad Line, Seaboard Air Line, Georgia Southern Line and the Atlantic Coast Line. The main industries became forest based, including turpentine, pulpwood and lumber. One of the colleges that eventually became the University of Florida was in Lake City Florida. 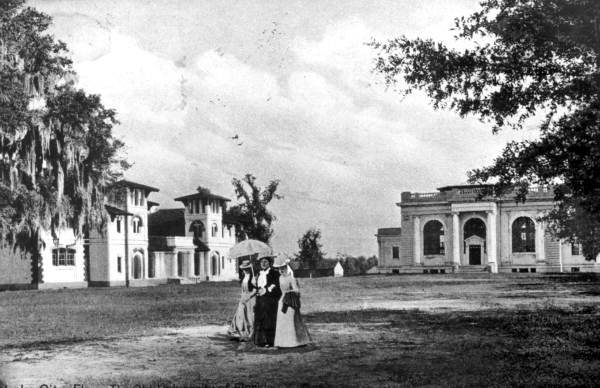 Florida Agricultural College was the state's first Morrill Act land grant college. In 1905, this college along with three other schools moved to Gainesville and became the University of Florida. Modern Lake City has many antique shops and restaurants, and is a good place to visit. Live Oak is the county seat of Suwannee County. It has a population of about 7,000. Like many small North Central Florida towns, Live Oak was founded before the American Civil War. Railroad workers used to camp in the area because of the abundance of shady oak trees and fresh spring water. Eventually a town grew up to serve the workers and was incorporated as Live Oak in 1878. In the years after the Civil War and towards the end of the 1800's, Live Oak was one of the largest towns in Florida. It is near Lake City Florida and shares a lot of the same business and recreational opportunities. 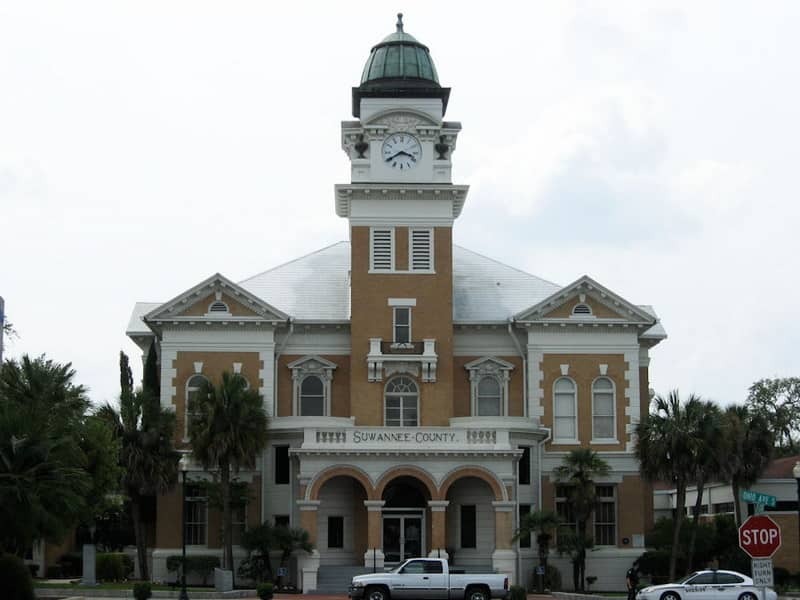 One of the most interesting buildings in town is the Suwannee County courthouse, built in 1904. Today's Live Oak is a pleasant piece of Old Florida. Many of the large live oak trees that gave the town its name still stand proudly throughout the town. The town has many historic buildings, along with a lot of shops and restaurants. The town is close to the Suwannee River and is a good place for caneoing, fishing and swimming. Every year the Suwannee River Music Festival draws thousands of visitors. 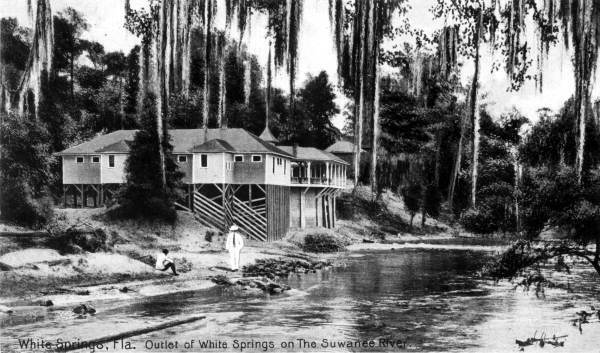 White Springs is on the Suwannee River not far north of Lake City. It's population is a bit less than 1,000. The ancient North Florida Indian tribes of Timucuans east of the river and Apalachees to the west believed that the springs had magical healing powers. The springs have that familiar "rotten egg" smell of water with a lot of sulfur in it. The first white settlers began to arrive in the area in the 1830s, and planted cotton and other crops in the area. A hotel and spring house were constructed, and the spring was named Upper Mineral Springs. It became a popular early Florida tourist attraction. It was eventually renamed White Sulfur Springs. The town around the area was incorporated in 1885 and named White Springs. The flow from the springs has slowed to a trickle in modern times, and the town has shrunk in size from its glory days. In the 1950's, the Stephen Foster Memorial Museum opened to honor the composer and his famous song "Old Folks at Home" that starts with "way down upon the Suwannee River". The museum is now part of a state park, and is home to the annual Memorial Day Weekend Florida Folk Festival. Modern White Springs still has a lot of old Victorian homes in its historic district. The small town has a fair number of antique shops and a restaurant or two. The White Springs Historic District is on the U.S. National Register of Historic Places. It's an interesting place to visit Old Florida.